The Philippine property market is set for a positive 2019 according to a number of real estate experts. The situation is far from ideal with rising interest rates and the continuing deflation of the peso, but the good outweighs the bad when everything is taken into consideration. Driving the various sectors of the Philippine property market will be overseas investment and the country’s young population that shows healthy spending and consumption habits. Chinese activity in the Philippine property market continues to pick up. According to Santos Knight Frank CEO Rick Santos, Chinese investment in the country rose to more than USD 190 million from January to October 2018 and this trend is set to carry into 2019. “I think it’s encouraging to have mainland Chinese investors in here. It’s been positive for the office leasing market, for developers and it’s been positive for residential developments,” Santos explained to ABS-CBN News in January. He added that in order to mitigate some of the risks, the country has put safety measures in place and banks continue to be discerning when it comes to loan exposures and loan valuations. The impact of Build, Build, Build cannot be understated as the initiative has managed to positively influence every sector of the Philippine property market. 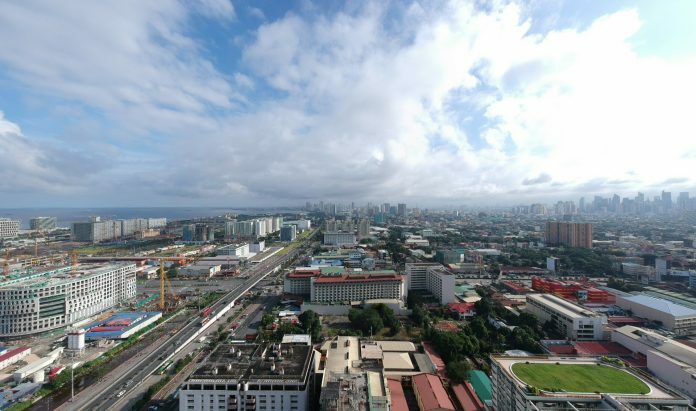 “The administration’s Build, Build, Build initiative supports the property sector as a whole as infrastructure projects provide accessibility to different developments in existing asset classes like office, residential, retail and hospitality,” Christophe Vicic, JLL Country Head, noted in a recent Philippine Daily Inquirer article. And while South Luzon has already seen the benefits of Build, Build, Build firsthand, the North could be an area to keep an eye on moving forward. The government’s infrastructure push has carried into North Luzon and the Clark Freeport Zone. Vicic reports that investors are now looking towards Pampanga for future activity. Research from Colliers International found that the Bay Area overtook Ortigas Center as the third largest submarket in terms of condominium stock. Prices here have grown even more rapidly, rising 65 percent last year with significant demand coming from overseas buyers. The Bay Area is home to several noticeable developments, such as the Mall of Asia Complex, which makes it an easily recognizable place for many international property seekers. BPO, flexible workspaces to drive office sector. Most property consultancies in the country believe office demand will keep up with new supply this year. BPO is likely to lead the charge once again in 2019 and office sector could also be boosted by an increase in demand from knowledge process outsourcing. Meanwhile, Colliers International predicts that Metro Manila’s flexible workspace stock will grow by 10 percent annually between 2019 and 2021.